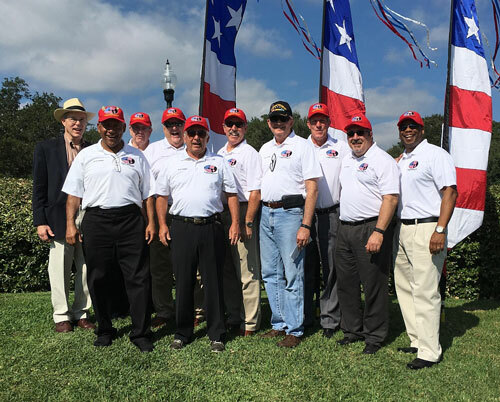 Veterans Memorial Park Foundation seeks to build a mutually supportive relationship with the local community and all other interested citizens who support the Park's mission to honor America’s rich military heritage and to pay respect to those who did not come home from defending our nation. * All memberships will receive pledge cards to help generate interest in the Friend of the Park program. 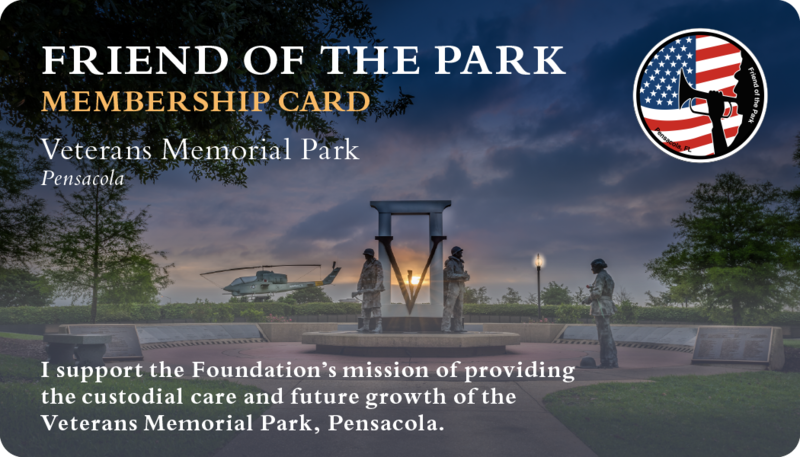 Veterans Memorial Park Foundation of Pensacola, Inc., Registration # CH40764, P.O. Box 12984, Pensacola FL 32591-2984. A copy of the official registration and financial information may be obtained from the division of consumer services by calling toll-free (800) 435-7352 within the state. Registration does not imply endorsement, approval, or recommendation by the State. Become a Friend Of The Park.